Did you know you’re supposed to drink 60 oz. of water per day? Sometimes it seems impossible!! 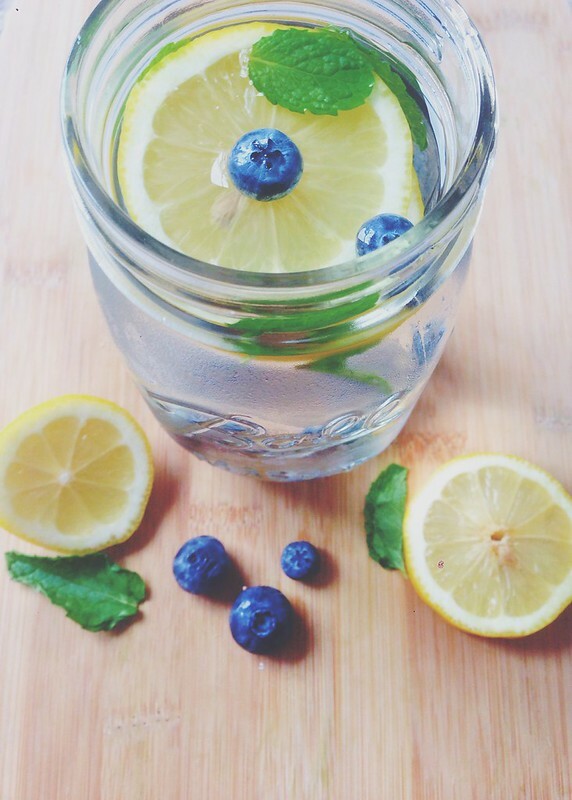 The easiest way to achieve this daily intake though is by infusing your water with fresh fruit and mint! It makes taste even more refreshing than it already is and you’ll want to keep drinking more and more! 2. Water Can Help Control Calories. For years, dieters have been drinking lots of water as a weight loss strategy. While water doesn’t have any magical effect on weight loss, substituting it for higher calorie beverages can certainly help. Food with high water content tends to look larger, its higher volume requires more chewing, and it is absorbed more slowly by the body, which helps you feel full. Water-rich foods include fruits, vegetables, broth-based soups, oatmeal, and beans. 6. Water Helps Maintain Normal Bowel Function. Adequate hydration keeps things flowing along your gastrointestinal tract and prevents constipation. When you don’t get enough fluid, the colon pulls water from stools to maintain hydration – and the result is constipation.